Gloriously demented fun. As big-haired subdivision sales ladies prepare to unload tract homes, galaxy of characters converges for book club. And then the apocalypse hits. Earth cracks open, poisonous biting insects spill forth, zombies with red eyes vomit goop. Disaster, horror, camp, hipsters, national security state, moustaches. All bases covered. 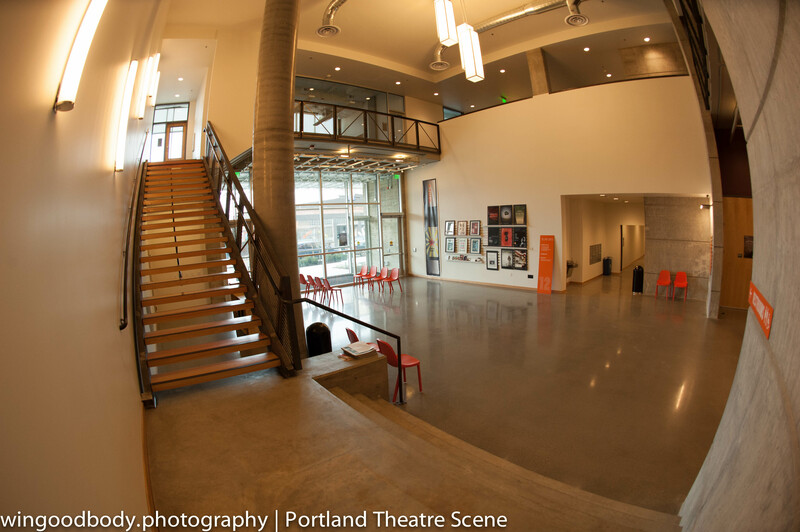 When it comes to performance spaces, you know what’s missing from the typical theatre scene in US cities, right? Hint # 1. It’s not the big industrial-sized space. Every town has a few of these. Typically cavernous and impersonal, the big elephants are over-outfitted, unionized out the wazoo and rent for way more than most companies can afford. Unless they’re carefully driven by world class arts organizations, these rusting downtown citadels are where yesterday’s theatre takes place – at a very high price. It is all but institutionally impossible to create exciting events in these monsters. Hint # 2. And it’s not the small 50 seat basement, bar or gallery space. 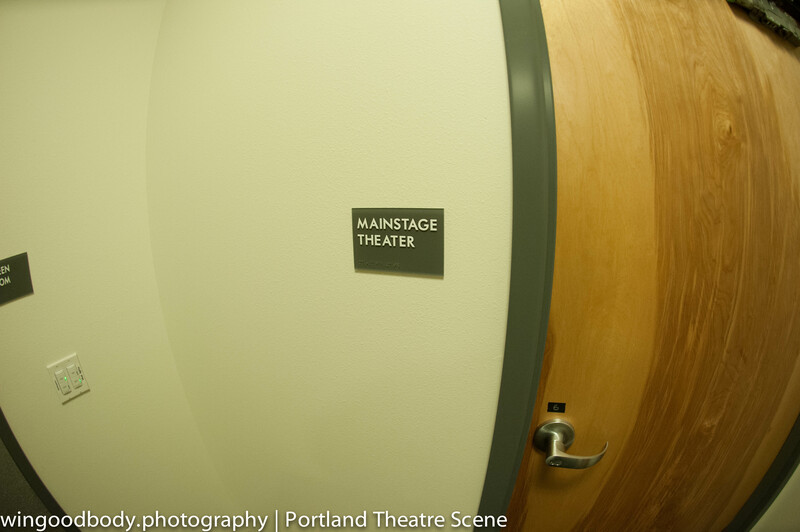 These off off off “stages” are everywhere and have nothing but character. 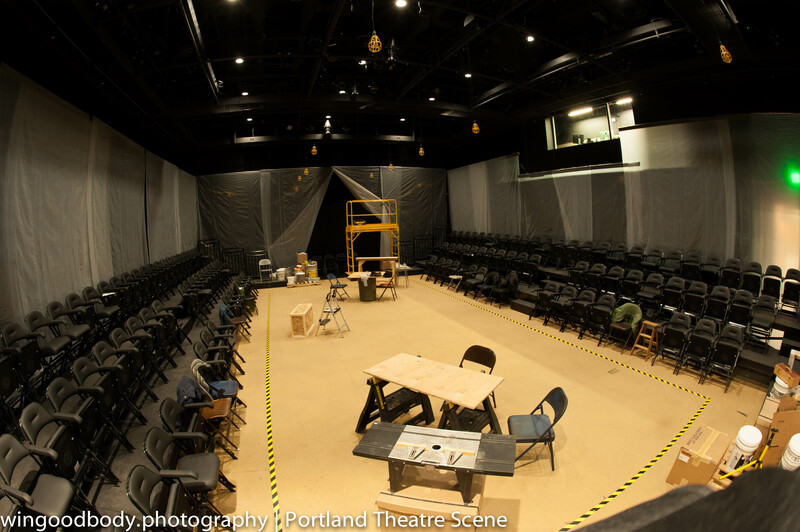 That’s where a lot of ferment and exciting new stuff happens: the theatre of tomorrow. Ta da. No, what’s usually missing is what’s in between the two ends of the spectrum – established (but still affordable) mid-sized spaces. 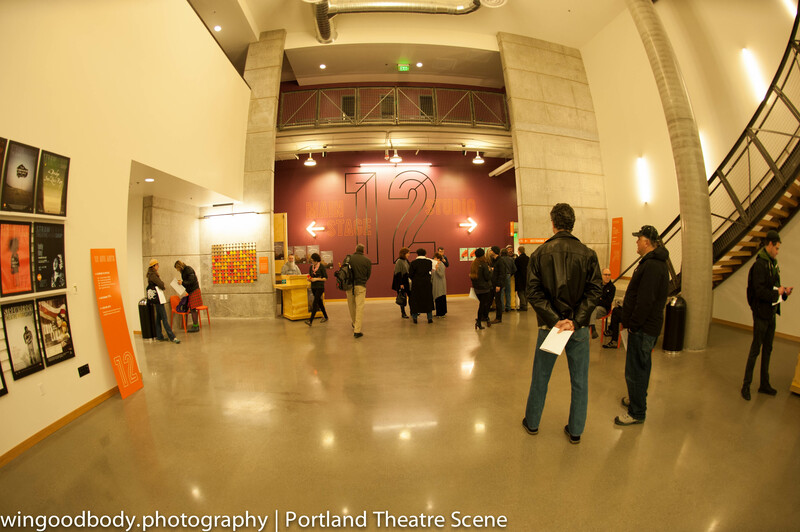 The middle option is key to a city’s overall theatre ecosystem and the constant flow of new artists through the system. 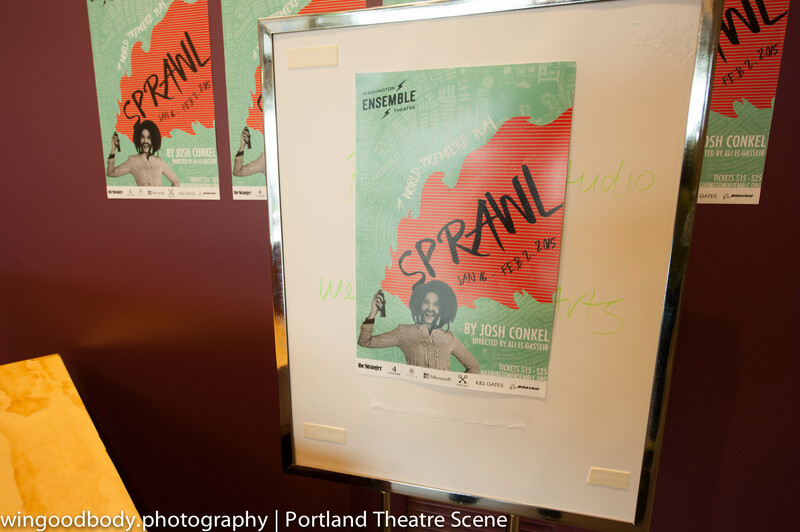 When an upstart company graduates from unforgettable shows in tiny locales and wants to expand their audience, what they typically find is very few venue options. They then either a) make do in a smaller than ideal spot or b) over reach in a too large venue that changes the fundamental experience that attracted an audience to them in the first place. 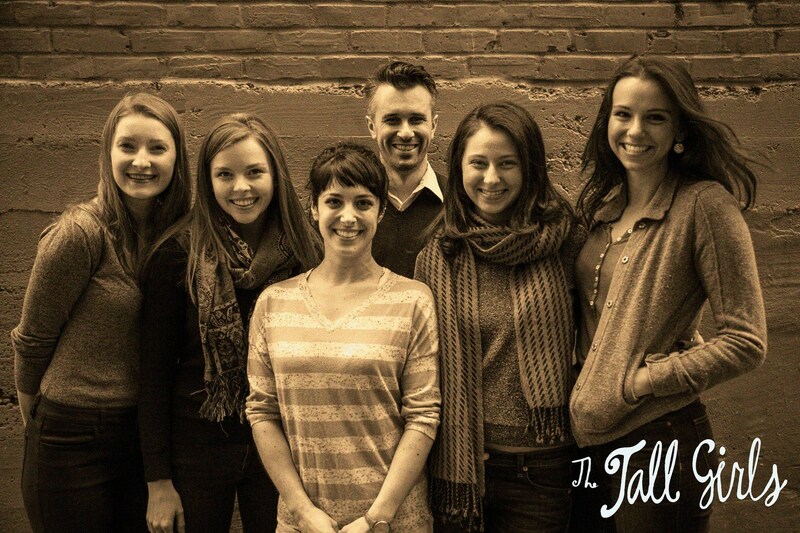 Several Portland companies are up against this very challenge right now. 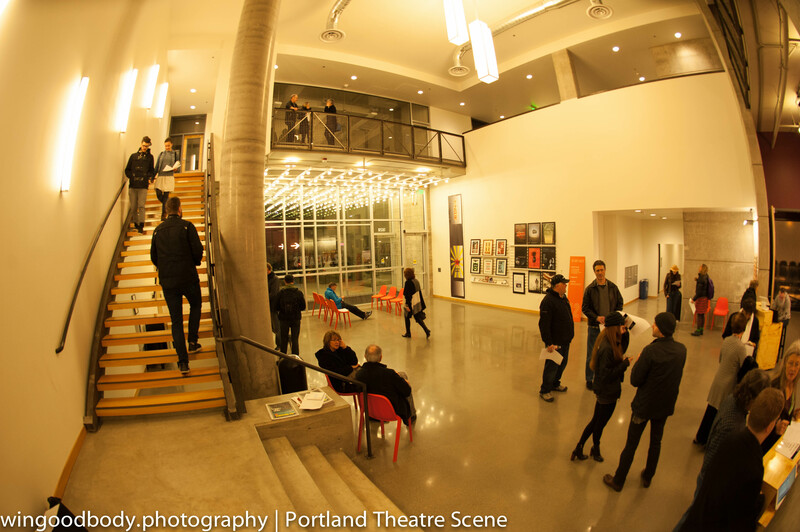 Like most cities, Seattle has been facing the double whammy of real estate boom and vanishing performance space. But unlike most cities, the Jet City has responded with a pretty dazzling example of vision to solve the problem. How does a new shared housing, office and performance space in the heart of urban life sound? While it isn’t rocket science, actually seeing a city execute on this idea feels pretty inspiring. It could work anywhere. 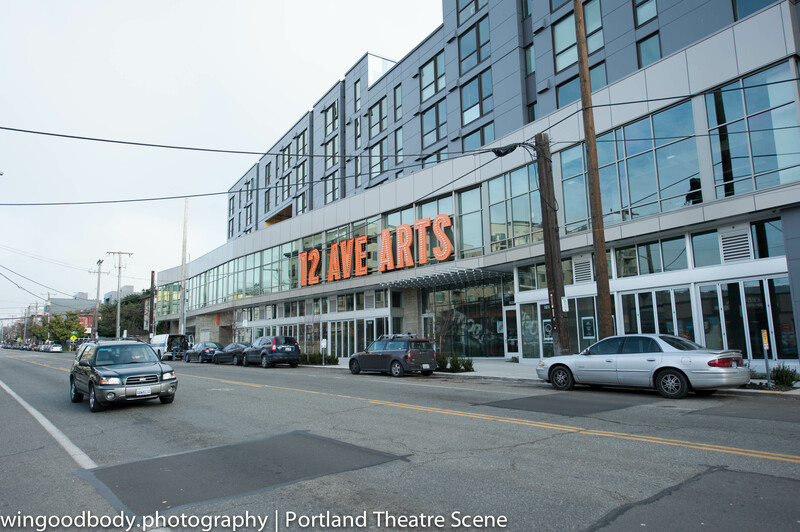 Introducing… 12 Ave Arts (pronounced “12th avenue arts”) in Seattle’s old school Capitol Hill neighborhood. The prominently featured 12 in the name was surely just a coincidence but no doubt speaks to a city obsessed with that number. And it so happens this space goes to 12 – not just 11. 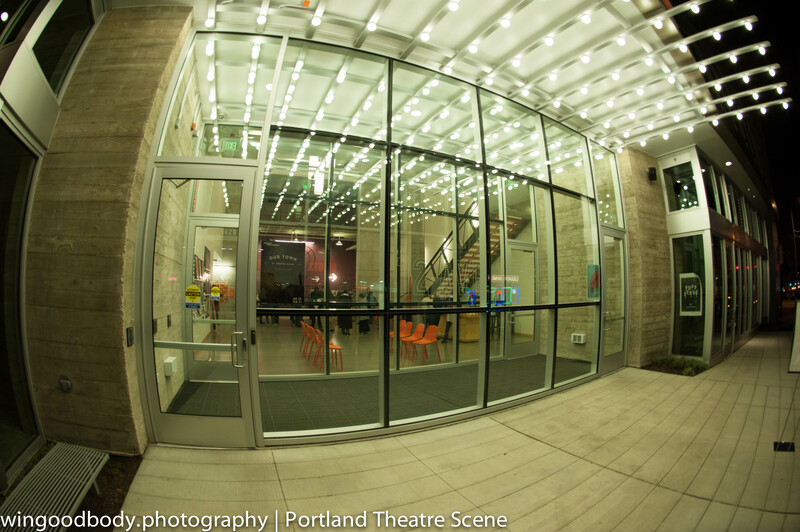 As a theatregoer, your mouth is going to water when you first enter 12 Ave Arts. Everything about the place is cool. And it looks good. 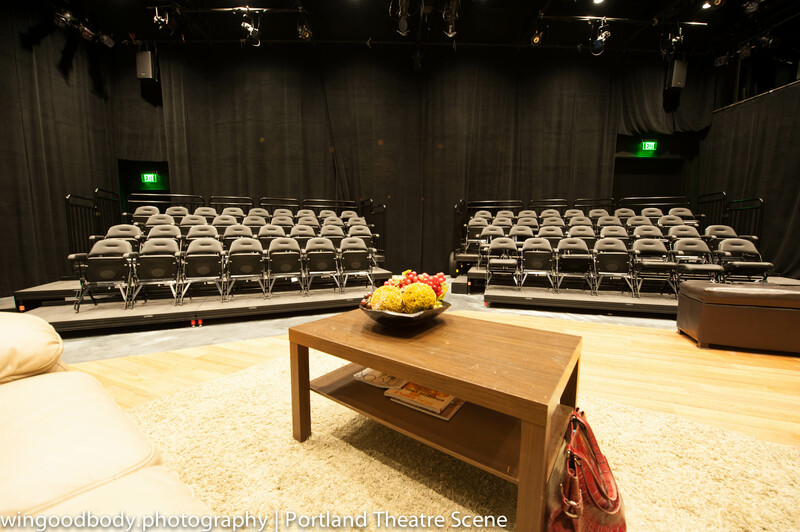 Remember, if you’re in the business of art, art should talk to the audience through every aspect of their interaction with the live experience – including the space itself. It would make no sense to put on a beautiful work of art in an ugly space, right? 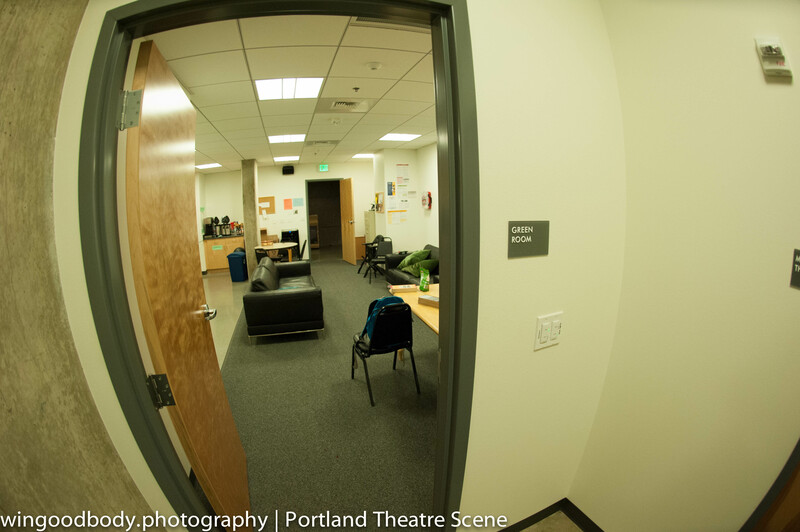 A cool space helps reassure the audience they’re onto something good and won’t be disappointed. A cool space becomes not just a location to house shows people come to – it becomes a destination in its own right. 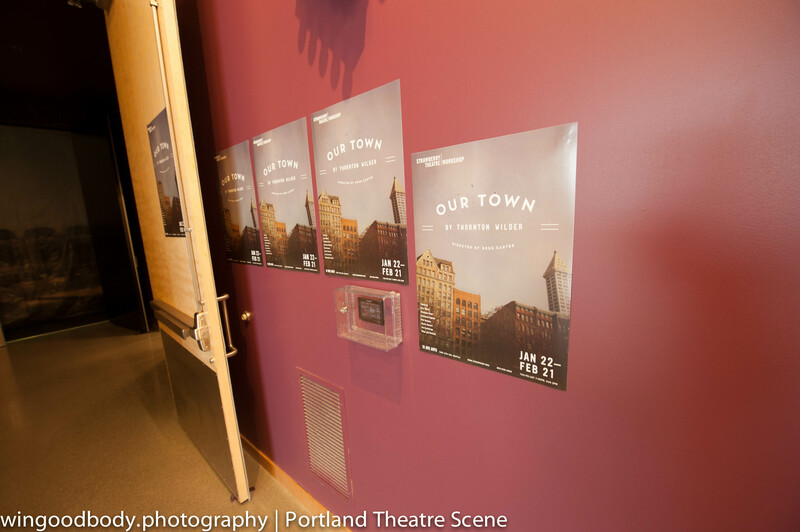 Outside on the street, the experience of Seattle’s new theatre begins with a sign you can’t miss. 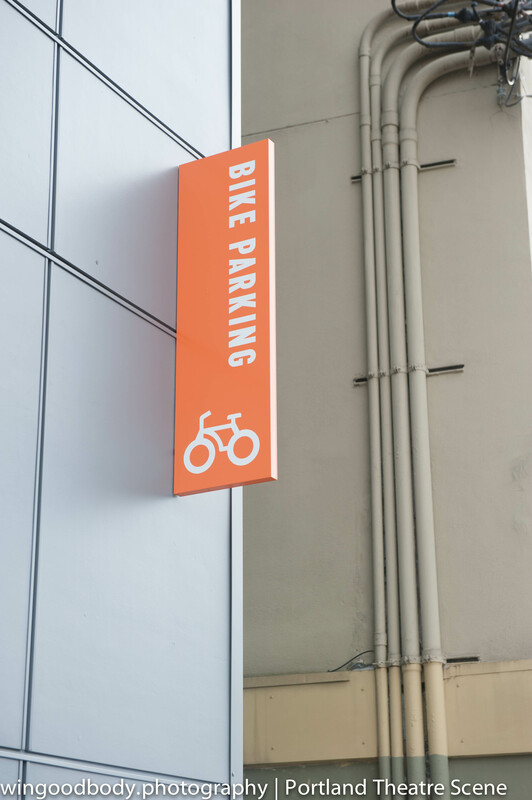 In a city of winter grays and blues, orange is the color. Inside you’ll find a large, high entrance lobbby with a bar. 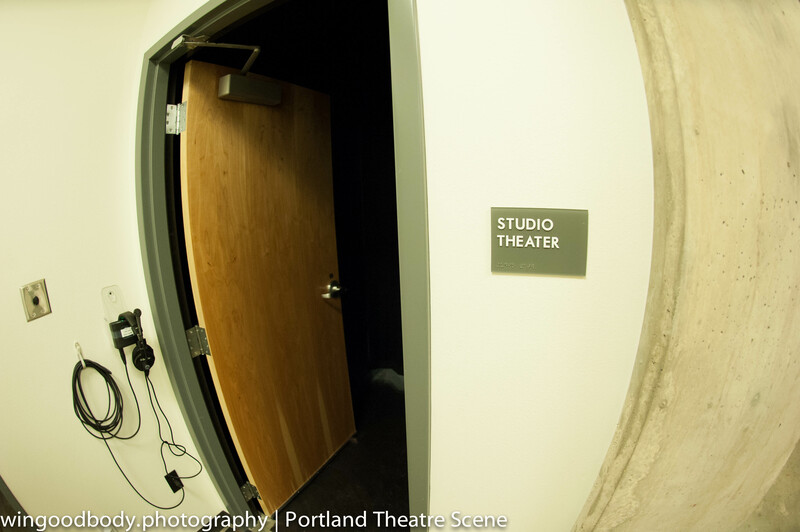 There are two theatres, a mainstage in the 200-250 seat range and a studio in the 80 seat range. 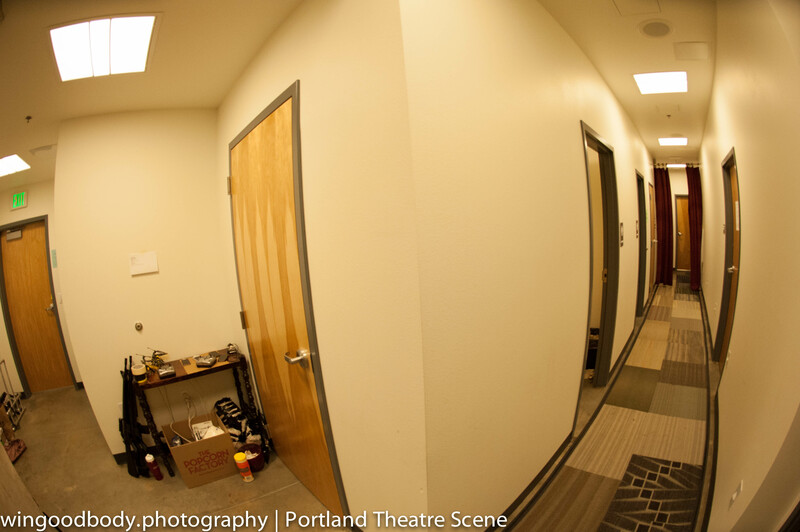 Crucially, both theatres are completely configurable black boxes. 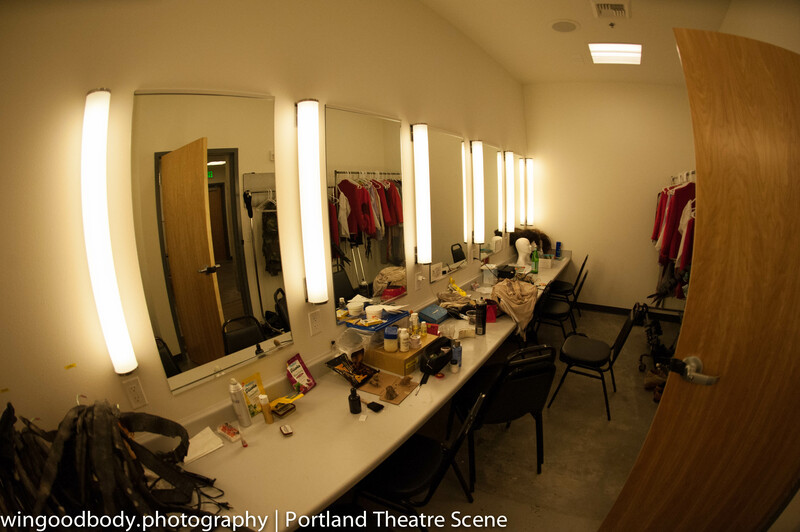 Backstage there are ample dressing rooms and facilities. It’s non union, which is key for small scale, entrepreneurial innovation. 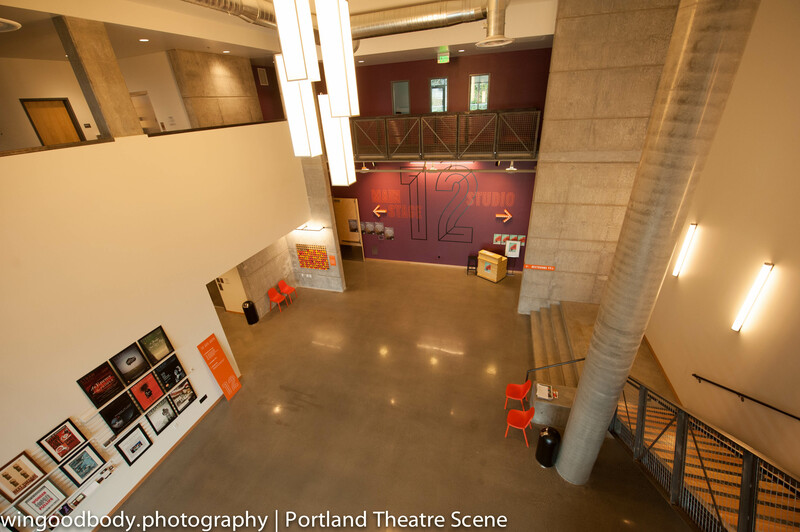 Anchor tenants to get this show rolling are Washington Ensemble Theatre, New Century Theatre Company and Strawberry Theatre Workshop. 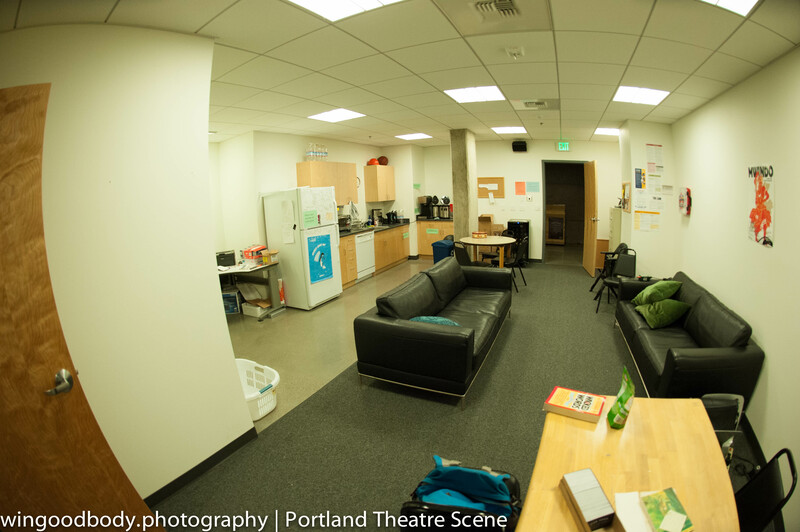 The space is also available to rent for one off shows. 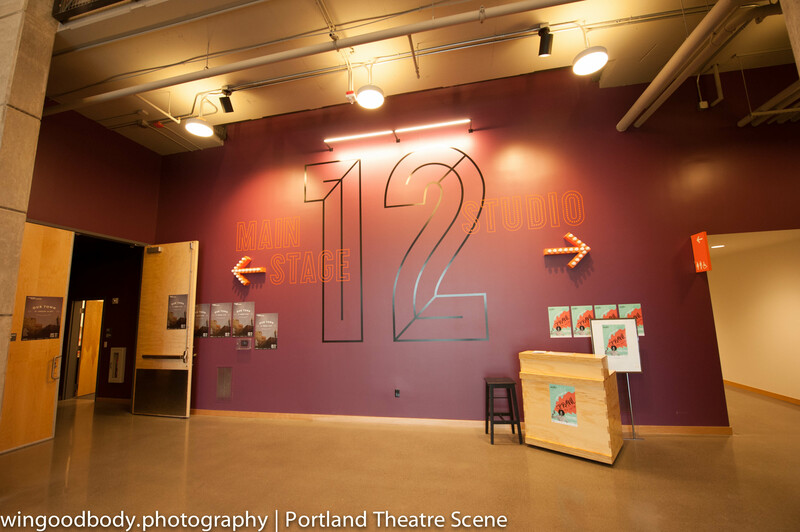 The first two productions to ever play at 12 Ave Arts are on now. And one of them just extended. 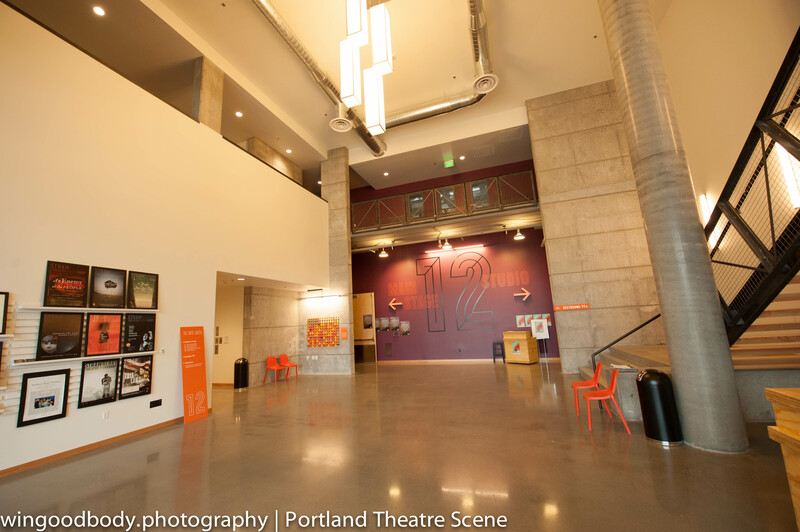 So it looks they’re off and running at Seattle’s newest theatre. How about some color in your life? Boom. Say it loud. Right in here – art. Part of the reason this whole thing happened – there’s housing above. The universal sign of good design. 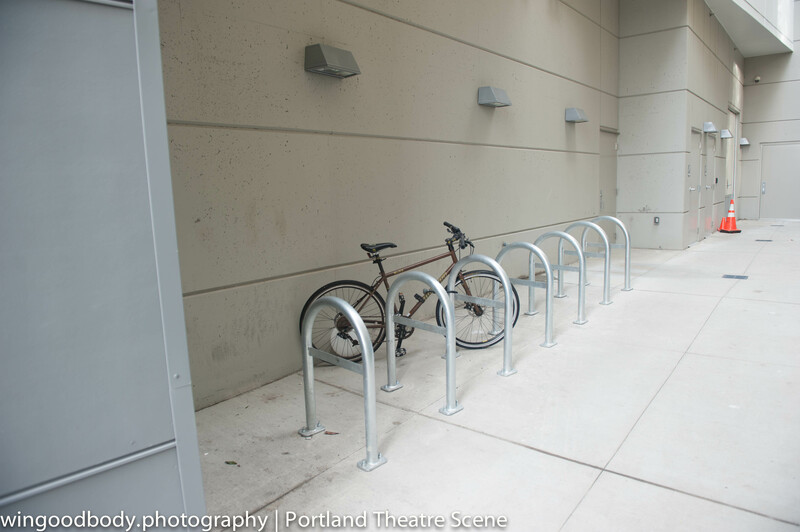 Someone is thinking about bikes. Go by bike. With Seattle traffic what it is – it’s the only way to fly. On a Saturday night – they’ll be here. Room to roam and talk. 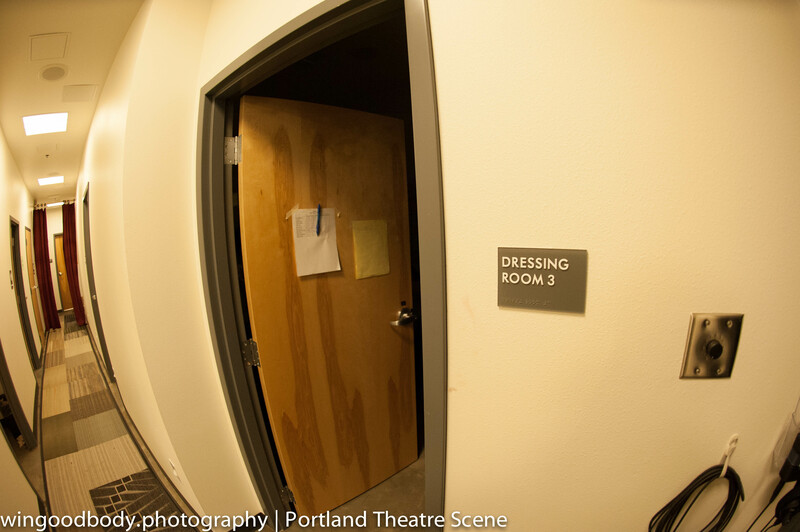 Not only is there a dressing room – there are several dressing rooms. 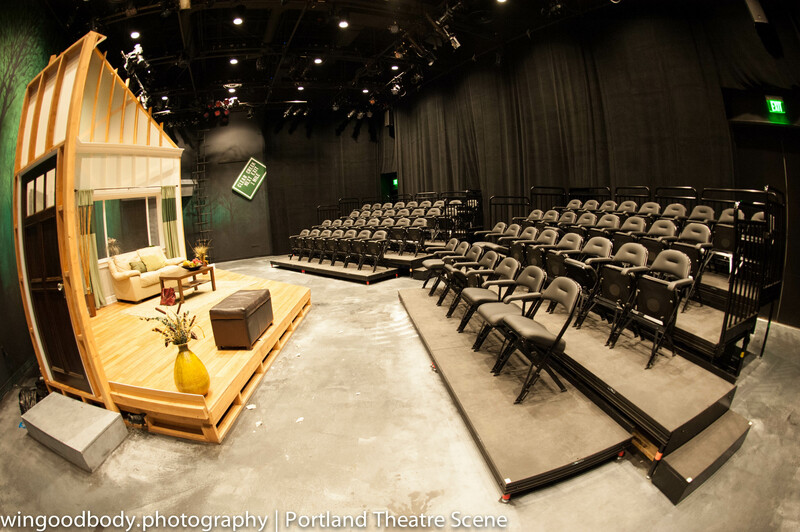 The mainstage with the set for Strawberry Theatre Workshop’s OUR TOWN. The construction look is part of the design. 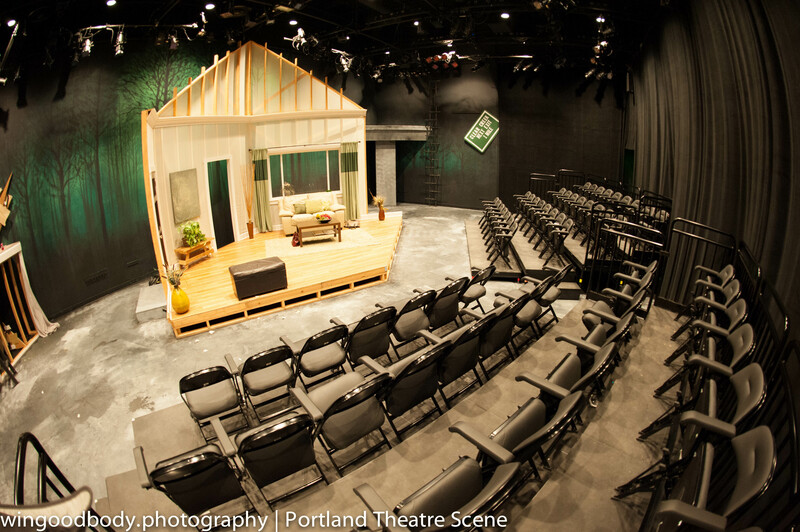 New Century Theatre Company’s production of THE FLICK by Annie Baker will be in the mainstage in March. Seating will be oriented across the short side looking toward the movie theatre seats on the other end. 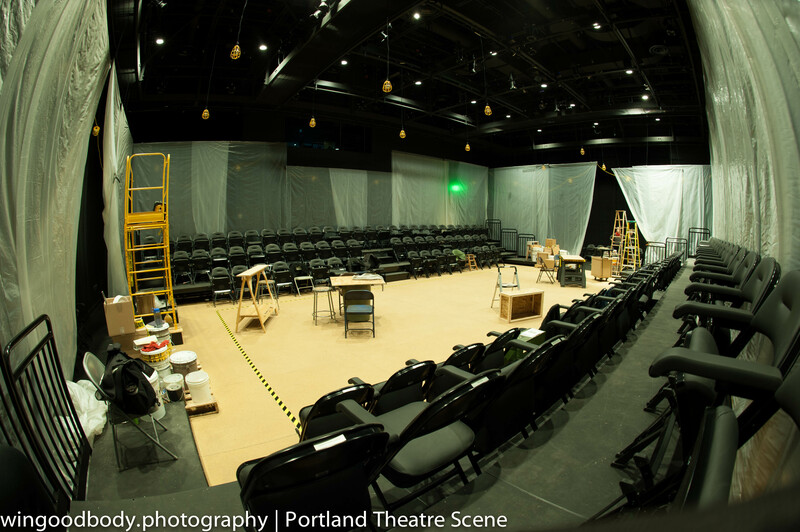 The studio space with the set for Washington Ensemble Theatre’s gloriously demented SPRAWL. All ready for 64 lucky audience members. They’re heeeeeeere. The audience arrives. People wander all over the space. As a prologue, the lobby is fabulous. Remember: The show is always on. And it starts with your building. 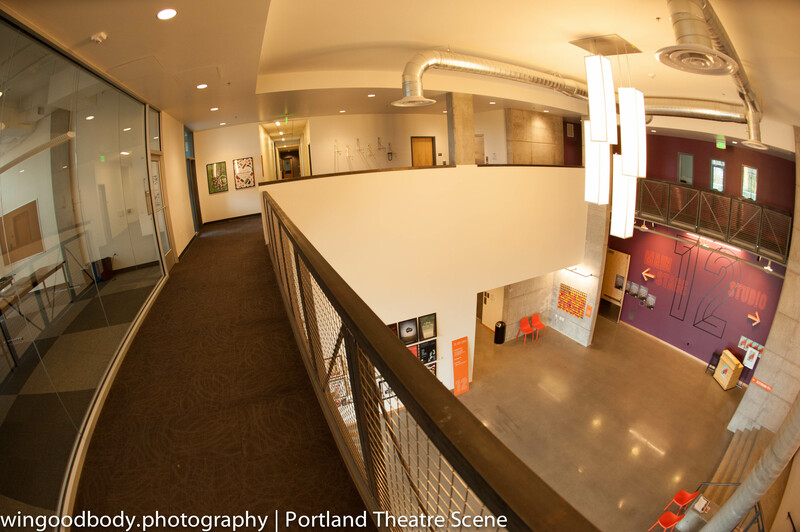 From Portland to Seattle to any other city you want to be in, performance space is scarce. Old spaces close down or turn into condos. And new ones are expensive. 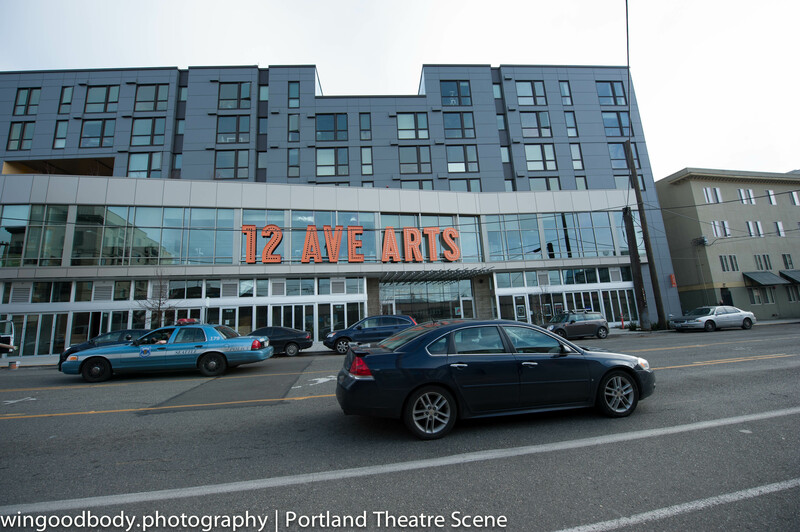 Here’s an interesting new venue coming together in Seattle, 12th Avenue Arts. All new for you. 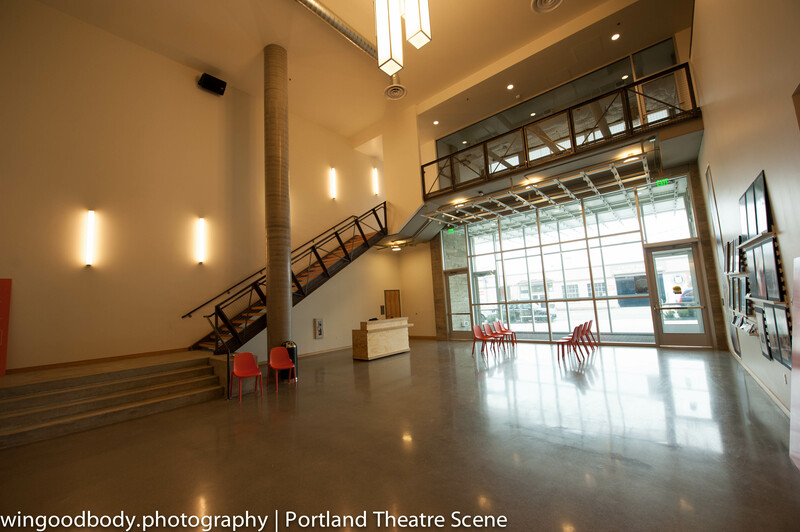 Seattle’s new shared performance space on Capitol Hill.